Designed in a variety of styles including pallet racks, push back racks, rolling racks and cantilever racks, industrial storage racks are used in many different settings to hand, hold or display an endless assortment of goods and products. Industrial Storage Racks – Ridg-U-Rak®, Inc. The organization provided by storage rack systems allows for goods and products to be easily accessible, which is key in industrial settings, particularly distribution centers. There are a number of advantages to implementing a rack system as opposed to simply using available space on one level. Optimal use of storage space is the biggest reason for installing a storage rack system. The use of floor space is greatly improved by the addition of pallet racks or flow racks as they allow for goods to be stacked vertically on shelves in unused ceiling space, rather than at one level horizontally. 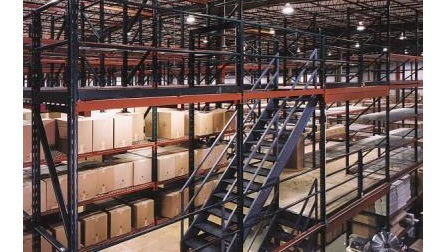 The efficient of product placement and retrieval from a storage system is also drastically increased as storage racks allow not only for an organization system to be implemented, but also allow for visual access to the goods, therefore reducing the time taken to search for and locate a product. Using a storage rack system also improves the look of a warehousing space by providing a more organized and aesthetically pleasing environment. Careful considerations need to be taken into account when determining the best storing rack system for a specific product or warehouse space. Load size and weight is an important aspect of system design as some heavier loads will need increased support and high strength construction materials. Steel storage racks provide a strong material choice for storage rack construction. Furthermore, as a corrosion resistant material which does not require extra finishing or coating, stainless steel is a low maintenance and durable material option. Other additions such as wire grids or mesh across the shelves of racks, as well as guard rails, bracing or additional supports such as sacrificial legs can all add to the strength and durability of the storage system. Some racks, especially those used with lighter weight products or in a processing application can be constructed on wheels so that they may be easily moved from one location to another. These racks will also be equipped with a sort of securing system to prevent unwanted movement. Storage racks can be purchased both new and used, allowing for manufacturers to determine the best solution for their needs. Depending on the size and capacity of the rack system needed, it could be a costly investment, but the benefits are multiple. Industrial Storage Racks Industrial storage racks are an integral part of warehouses, manufacturing plants and storage facilities.